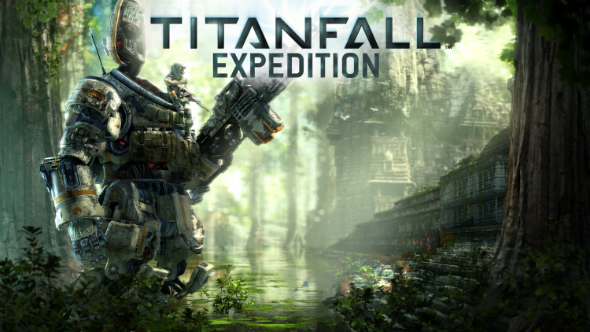 Recently Respawn Entertainment has announced the first Titanfall DLC, titled Expedition, the release of which is scheduled for May 2014. The events of this Titanfall DLC will be set after the ending of the main campaign. The add-on will include three new locations. But Respawn Entertainment has revealed quite much information only about one of them. The main feature of this map is a great amount of the ruined buildings and also the trees, which help the combatants climbing the inaccessible places and run on the walls.The developers don’t share a lot of details about two other maps, but the titles speak for themselves. So, the second location - Runoff - will include a lot of pipes and water, and the actions on the third map - War Games - will take place in the training center of the titan pilots. Besides that, the first Titanfall DLC will add to the game the customisation of the titans and the ability to search the players by different hashtags. The add-on will cost $9.99, and the Season Pass holders will be available to get it for free. Expedition will be the first of three planned Titanfall DLCs.